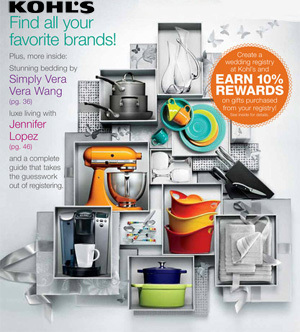 Kohls catalog is a family friendly retail chain that promises the customer a great selection of items at great savings. Its offerings include every aspect of lifestyle categories, from fashion for women, men and kids to footwear, toys, bed and bath, home accessories, jewelry and watches and a special sports fan shop. Offering quality merchandise at deep discounts is a Kohls catalog signature.